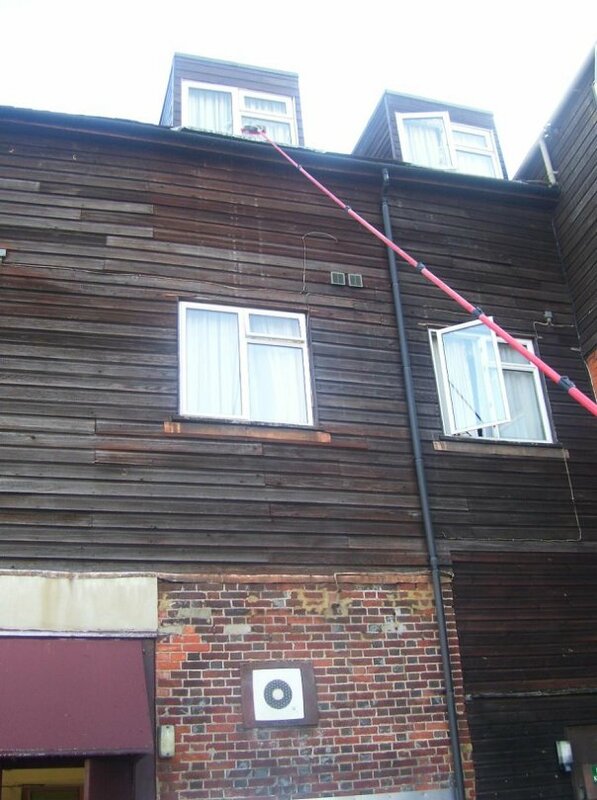 This relatively new method of window cleaning has revolutionised the cleaning industry as its many benefits far outweigh other cleaning methods. By using 100% pure laboratory graded water which is then pumped through carbon fibre telescopic poles, we are able to access and clean windows to heights in excess of 45 feet (3 floors). There are no Health and Safety risks impeding its use in any way, making it by far the safest and most cost effective method of cleaning, with excellent results. How can pure water not leave any marks or droplets? We do this by using a technique called reverse osmosis which is a filtration process. The end result is 100% laboratory graded pure water. Because of it’s purity, quite simply nothing can deposit on the windows which are always left spot free.we can clean all your hard to reach windows above conservatories and extensions and up to 45ft high.